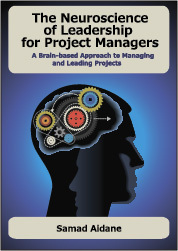 Jeff Richardson on how understanding the latest brain research can help Project Managers build and lead high performance teams. Jeff Richardson, of Empowered Alliances, believes that every team has the capability to achieve extraordinary performance results but so few ever realize this potential. Jeff is doing his part to change this. Continuing this series on leading projects with the brain in mind, I asked Jeff to share with us his insights on how he is using the latest brain science findings to help organizations build high performance teams and achieve higher levels of team communication, collaboration, and innovation. Jeff has 13 years of experience developing project leaders at universities, Fortune 50 companies, and high-tech startups. As an educator, Jeff was one of the lead designers for Stanford’s Advanced Project Management Program, in addition to designing and teaching project leadership programs at San Jose State and UC Santa Cruz – Extension. Jeff teaches project leadership and consults with companies like Cisco, Intuit, Texas Instruments, the City of San Jose and Santa Clara County to name a few. The brain’s strengths and limitations through the lens of the latest neuroscience research and how they relate to the specific challenges facing project teams in making decisions, solving problems, collaborating, and facilitating change? Jeff has a Bachelors degree in Mechanical Engineering and a Masters degree in Organizational Development & Change Management. Jeff’s engineering and Organizational Development background combined with expertise in using experiential team building activities makes his programs highly engaging and technically relevant. If you liked this post, you can read the entire “Leading Projects with the Brain in Mind” series here.